Condensation essentially is when moisture is absorbed into the warm atmosphere of a property and then as the property cools down the moisture condenses on cold surfaces such as on windows or windowsills. Condensation is by far the most common cause of dampness in buildings, accounting for the majority of damp problems reported. 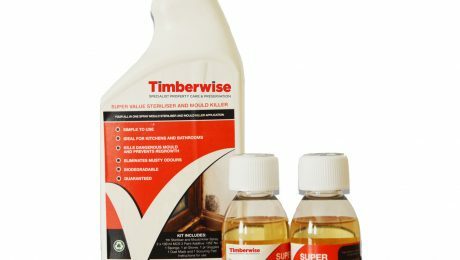 If you are noticing condensation in your property, don’t worry, Timberwise are here to help! Below you will find help and advice on how best to manage condensation in your property. Warm air can hold more water vapour than cold air – the warmer the air the more water it can hold and conversely the cooler the air the less it can hold. Thus, given this fact, it becomes evident that if warm moisture-laden air is cooled there will become a point at which the air is cooled to such a level it can longer hold the moisture present. It is at this point that the excess moisture starts to change from its vapour state into a liquid and effectively drops out of the air – this is what we see as condensation. 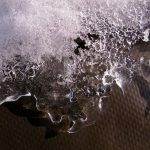 In practice, the effect is seen when moisture-laden air comes into contact with a cold surface, the coldness cools the air to an extent where it can no longer hold the excess water and it, therefore, falls out as liquid water (condensate) on the cold surface. Condensation is very much a seasonal problem, occurring during the colder months –usually from October to April. During the winter, ventilation within a property is usually low (due to windows and doors being closed and an increased awareness of draught-proofing). This allows the build-up of water vapour in the house, which, in some cases, is sufficient to cause condensation. The build-up of moisture from our day-to-day life includes activities such as boiling the kettle, drying clothes inside, taking a shower and even breathing. 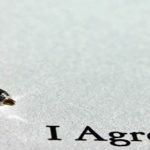 How Do I Identify Condensation? The obvious places for condensation to occur is on windows, cold walls and floors, but it can also occur in roof spaces and in sub-floor areas where there is a timber suspended floor. Where there is a suspended floor condensation may also lead to ry rot or wet rot developing in floor timbers. 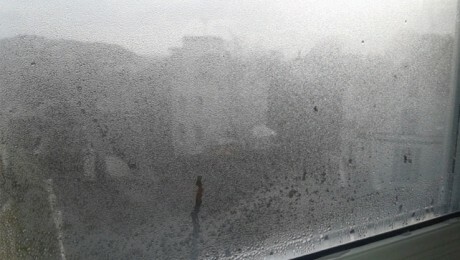 The most common sign of condensation, as we all know, is water collecting on the inside of windows or on the window sill. This easily recognisable sign indicates that there is a lack of ventilation in the property and moisture laden air needs to be dispersed. 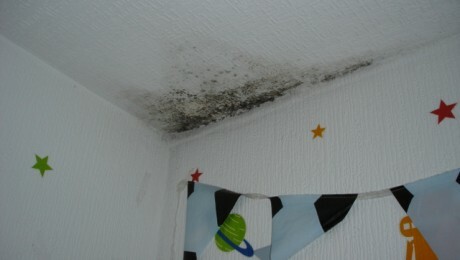 However, perhaps the most common sign of condensation is mould growth. This is usually seen as 'black spot' mould but green, yellow and white moulds may also develop depending on the conditions and the particular surface. There are proven health hazards associated with moulds, the most common being a trigger factor for asthma. However, it appears likely that in most healthy people only heavy, persistent moulds may potentially cause a problem although some people may be particularly sensitive. When tackling condensation it is important to target the source of moisture in the air, this then ensures that moisture cannot grow. Condensation is inevitably derived from normal living activities such as washing, cooking and bathing. Normally this moisture is vented away but in some cases, this isn't apparent, double glazing, draught exclusion, blocking of air vents and chimneys all restrict the venting of moisture laden air. This occurs especially from those areas where most water is produced such as bathrooms and kitchens. Improving the ventilation in a home is key to allowing moisture-laden air to exit the property quickly. This can be achieved by adding mechanical ventilation such as adding kitchen and bathroom fans. 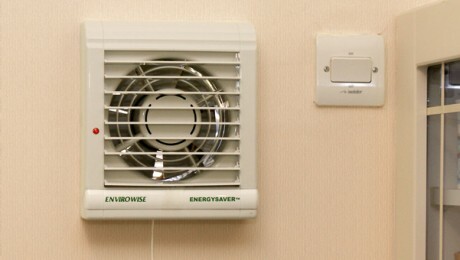 Timberwise will be able to assess your property and find the correct ventilation solution for you. Are you looking for a fast, simple and cost effective solution to solve your condensation mould problem? If so, you need a Condensation Mould Kit from Timberwise! Our Condensation Mould Kit is simple to use – so much so that you can even apply the treatment yourself. All our Condensation Mould Kits come with simple ‘step by step instructions and contain everything you need to eradicate condensation mould problems from your property. If you are unsure how to carry out treating condensation in your property then contact our specialist surveyors who will be able to identify and implement the correct treatment or solution to help eradicate condensation problem. 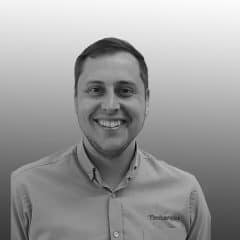 At Timberwise we have the most experienced professionals who provide specific advice for you and your property providing solutions for the control and elimination of condensation along with persistent problems associated with condensation such as mould growth. 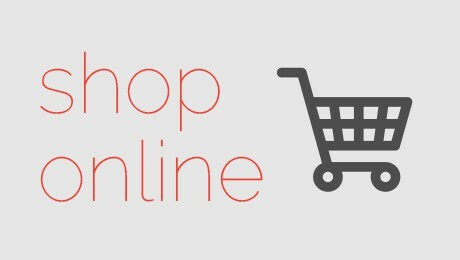 Please contact our condensation specialists by calling 0800 288 8660 or you can request a survey online. A survey through Timberwise will be able to identify the full extent of the problem and determine whether further condensation treatments are necessary.